EMS introduces this new disposable sampling equipment which is used to monitor indoor environmental, occupational health and safety conditions. This is a unique air sampling cassette specially designed for quick collection of a wide range of airborne aerosols including mold spores, pollen, insect parts, skin cell fragments, fibers (e.g. asbestos, fiberglass, cellulose, clothing fibers, etc.) and organic particulate e.g. ceramic, fly ash, copy toner, etc. The Air-O-Cell® collects both viable and non-viable sample specimens, providing a much broader overview of potential allergens and contaminants than conventional sampling techniques. The Air-O-Cell® can be used with any standard off-the-shelf area sampling pump capable of drawing 15 LPM open flow. 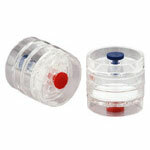 The small compact size makes Air-O-Cell® suitable for use in confined or restrictive area. The Via-Cell® bioaerosol sampling cassette is designed to collect both viable and non-viable bioaerosols, maintain visibility of the viable mold spores and prevent growth during transport to the laboratory. Sampling with the Via-Cell® is very similar to its sister product Air-O-Cell®. 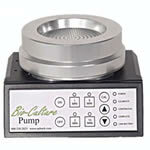 Simply connect it o any pump calibrated to 15 LBM and run your sample. The key to the Via-Cell® is that the media used for collection maintains viability of spores and allows several analysis options. Independently validated and compared to current industry standard methods by both universities and laboratories. PCR Analysis: The Via-Cell® utilizes a water soluble collection media which is ideal for PCR and other chemical types of analysis. Once the sample is diluted in water, it can be transferred most anywhere. These PCM 25mm air sampling cassettes are designed and manufactured to conform to all NIOSH, OSHA, and EPA standards. The cassette housings are injection molded in-house and are individually assembled and preloaded under stringent quality control standards. Once assembled, each cassette is individually tested prior to packaging for shipment. Random lot sample testing is performed daily by an independent laboratory to ensure low background fiber counts. Laboratory results are available upon request. This PCM 25mm air sampling cassettes are designed and manufactured to conform to all NIOSH, OSHA, and EPA standards. The cassette housings are injection molded in-house and are individually assembled and preloaded under stringent quality control standards. Once assembled, each cassette is individually tested prior to packaging for shipment. Random lot sample testing is performed daily by an independent laboratory to ensure low background fiber counts. Laboratory results are available upon request. The 37mm Air Sampling Cassette w/MCE Filters are designed to meet all NIOSH, OSHA, and EPA requirements for air sampling standards. All 37mm cassette housings are manufactured in house and are available in both two and three piece configurations. All 37mm cassettes are individually assembled and preloaded under stringent quality assurance standards with only the finest quality membrane and support pads. The 37mm Air Sampling Cassette w/PVC Filters are designed to meet all NIOSH, OSHA, and EPA requirement for air sampling standards. All 37mm cassette housings are manufactured in house and are available in both two and three piece configurations. All 37mm cassettes are individually assembled and preloaded under stringent quality assurance standards with only the finest quality membrane and support pads. The 37mm Air Sampling Cassette w/polycarbonate Filters are designed to meet all NIOSH, OSHA, and EPA requirement for air sampling standards. All 37mm cassette housings are manufactured in house and are available in both two and three piece configurations. All 37mm cassettes are individually assembled and preloaded under stringent quality assurance standards with only the finest quality membrane and support pads. The 37mm Air Sampling Cassette w/Glass Fiber Filters are designed to meet all NIOSH, OSHA, and EPA requirement for air sampling standards. All 37mm cassette housings are manufactured in house and are available in both two and three piece configurations. All 37mm cassettes are individually assembled and preloaded under stringent quality assurance standards with only the finest quality membrane and support pads. The 37mm Air Sampling Cassette w/"PTFE" Filters are designed to meet all NIOSH, OSHA, and EPA requirement for air sampling standards. All 37mm cassette housings are manufactured in house and are available in both two and three piece configurations. All 37mm cassettes are individually assembled and preloaded under stringent quality assurance standards with only the finest quality membrane and support pads. The BioCulture™ air sample is the smallest, most cost effective and easiest to use sampler available on the market. This BioCulture™ features a selectable, continuous, constant sample flowrate and is simple to operate, quiet operation, sampling in a variety of applications. No tools are needed. Each pump come complete with both an Air-O-Cell® and Via-Cell® flow indicator, quick charger, 10 free Air-O-Cell ® cassettes and a handy carrying case. Heavy duty stainless steel cassette opener. 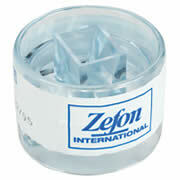 Works with 25mm, 37mm and Air-O-Cell cassettes. No need to remove labels, this opener cuts right through and effortlessly pries cassettes open. ABS-1 Deluxe Sampling Stand: very similar to the economy stand but made in the USA from aluminum. Better durability and stability than the economy one. LIBRA Pump comes with standard NiCAD battery, AC charger, luer adapter, 36" tubing, shirt’s hose clip and manual. The mini-BUCK™ Primary Flow Calibrator is the industry standard for day-to-day flow verification and calibration of your personal and environmental sampling pumps. It is also suitable for verifying rotameters, setting instrument panels, and calibrating laboratory instruments. No more lugging oversized calibration panels. 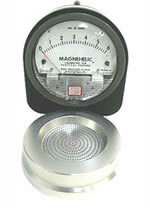 No more rotameter inaccuracies. The mini BUCK™ is accurate at any attitude and can be used for flow measurements with sampling media. The Gilian BDX II includes a Pump with battery pack, battery charger, tool kit, 36" tubing, clip assembly and manual. A small wonder Acetone Vaporizer Kit includes everything needed to clear slides for PCM analysis. Small wonder Acetone vaporizer with built-in heat control, temperature gauge, and cool cover; 2 oz acetone; ½ oz triacetin; ½ gross microscope slides; cover slips; tweezers; micro-dropper; syringe; #10 scalpel blade,; pre-cut foam padding; durable plastic carrying case with handle; instruction manual. Material: Plastic case, ABS plastic cover on vaporizer, clear plastic bottles, metal and plastic tools.